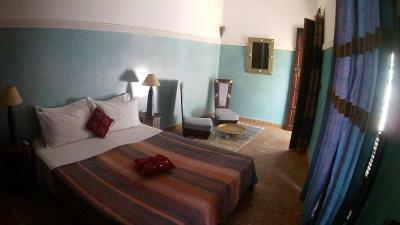 Lock in a great price for Dar Tuscia – rated 8.5 by recent guests! 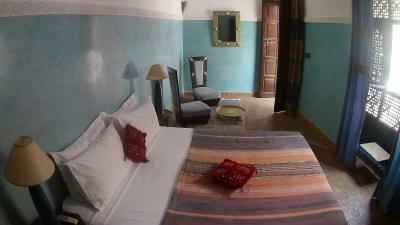 We loved the Dar and think it's the best one out of three we saw in Marrakesh. 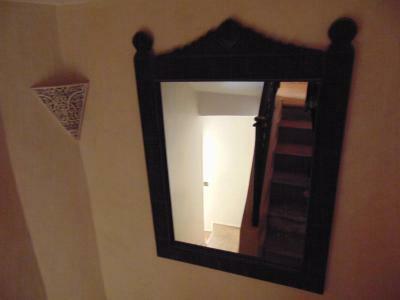 It was very easy to find and the staff was friendly, even though we needed to use body language at first :) The owner is super helpful and even set up the Hammam on the roof last minute for us. I liked the hostility of the owner and her personnel so much. Kindness and smile started all my days. Nice atmosphere for the breakfast outside with songs of birds was lovely. The place was clean and cute, simple, but all necessary stuff was there. I can only recommend for couples or individuals. The position was good (close to the wall), because we could reach everything we needed by walk and find the way back without any help. Next time I would use also the taxi service to get there, not only to the airport. 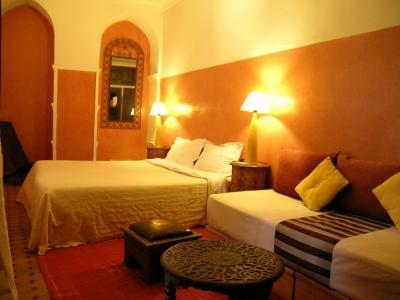 The room was spacious, comfortable and very clearn, the staff was friendly and the breakfast was ok.
We had the most brilliant stay at the Dar! Lovely house which kept us amazed with beauty, very warm welcome by all hosts and a great value! 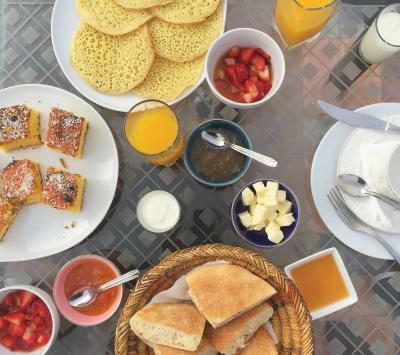 Using a small in-house hammam was a best experience overall, but nice breakfasts and warm teas will stick to our memory too. Would definitely come back! This place blew me away. 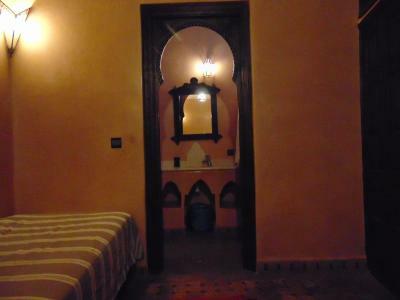 It was so authentic and they literally have 4 rooms, so book right away, this is an excellent value for your money. The free breakfast was so cute, freshly made and brought out in the morning. We even got breakfast earlier than they offered it since we were doing an excursion. They were so incredibly welcoming and awesome. 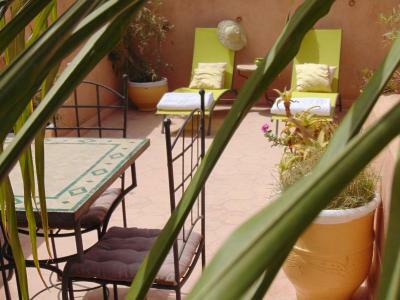 The rooftop terrace is awesome for lounging. 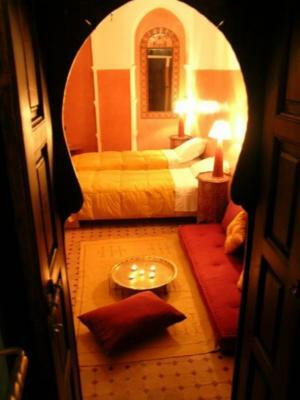 The rooms are BEAUTIFUL. The AC was fantastic. 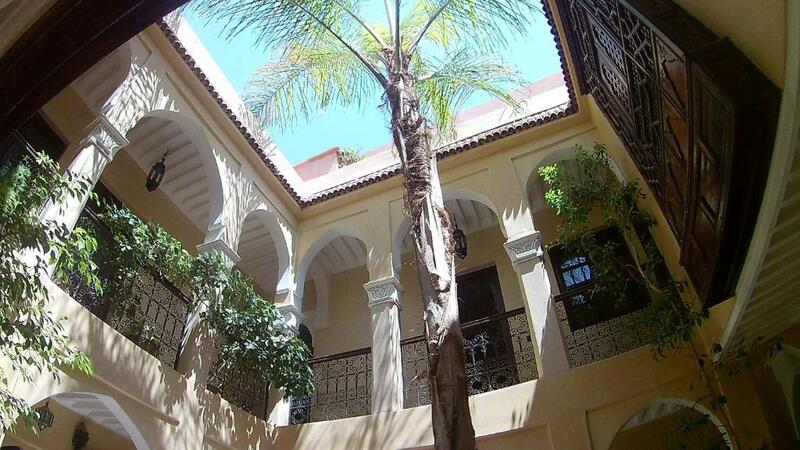 Very easy to find and less than a 15 minute walk from the medina. This Dar is an amazing place. 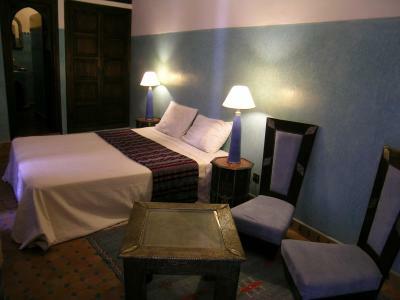 Warm staff, lovely architecture, beautiful rooms and overall very relaxed and pleasant atmosphere. 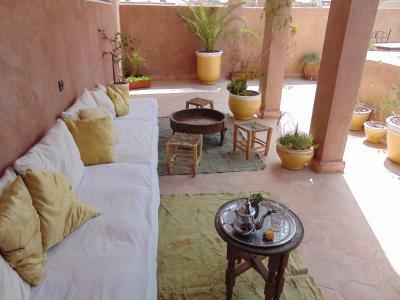 On the rooftop there is a gorgeous, small hammam - a must for anyone interested in authentic Moroccan experience. Breakfast good and staff friendly. Bed really comfy, lots of hot water in shower. 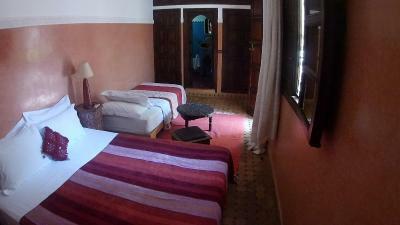 Naima made our stay so comfortable. Nothing was too much trouble. Breakfasts were great, and the optional dinners were delicious- she is a very good cook and shared some secrets with us. 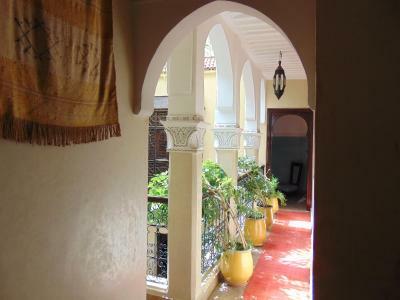 The riad is away from the noise of the main tourist aea of the Medina and was tranquil and calm. We felt safe and all our questions were answered. 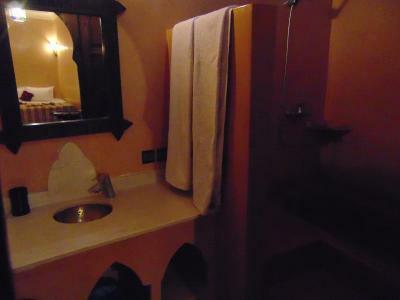 Other staff at the riad were lovely. 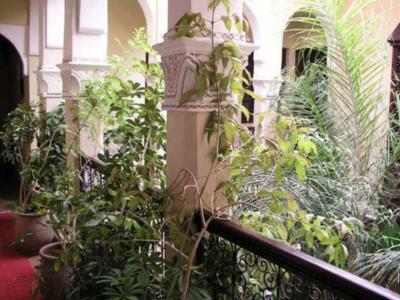 It’s an easy walk to the souks from the riad. We stayed 3 nights and were sorry to leave. Thank you Naima! Friendly and helpful staff. 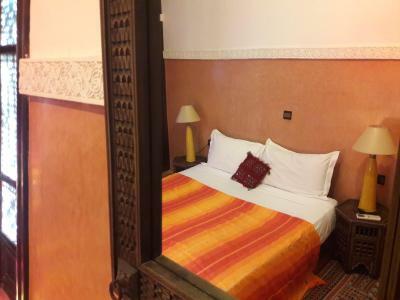 Nice riad style accomodation. 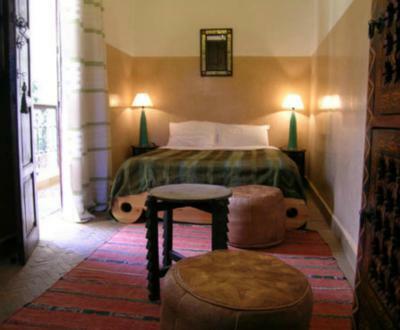 This Riad is located in the ancient quarter of Bab Doukkala, 15 minutes away from the famous Jamaâ El Fna Square, away from the hustle of the heart of Marrakesh. 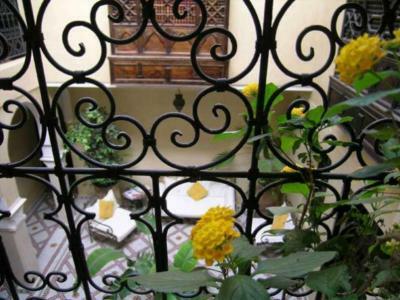 A characteristic Arabian house, Dar Tuscia provides a small, peaceful and softly colored oasis, contrasting with the bustle of the souks that you find while walking through the citys narrow streets. 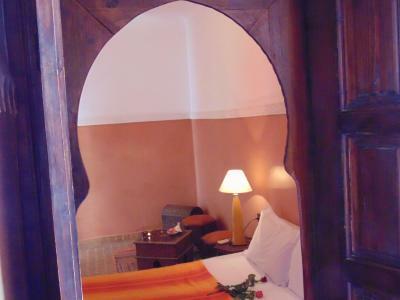 The 5 charming guestrooms are uniquely decorated and styled. 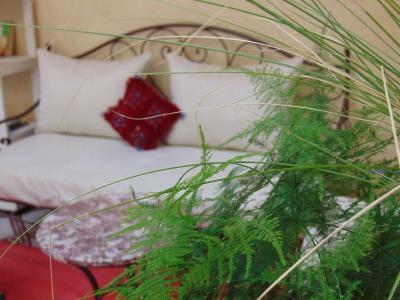 They offer a Wi-Fi internet connection and modern comfort. 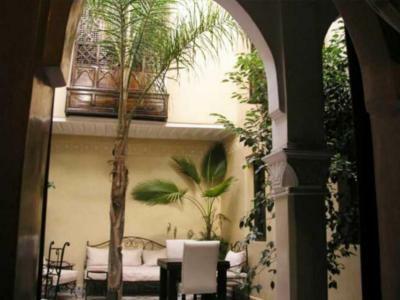 Set around a green patio, enjoy an ideal place to relax on comfortable sofas and have a cup of tea after a busy day spent in the Medina. 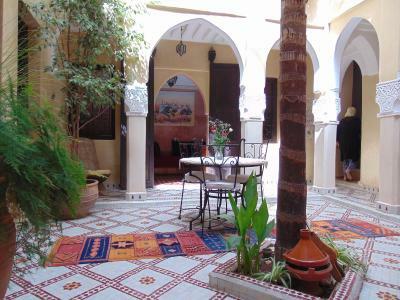 Moreover, the Riad houses a hall with a fireplace and a terrace and solarium full of plants and flowers, with deckchairs and a characteristic Bedouin tent. 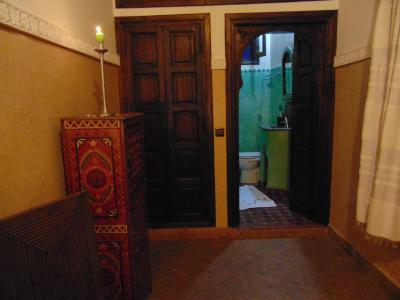 For your well-being, Dar Tuscia has its own Hammam, after which a relaxing massage will regenerate your body and your mind. 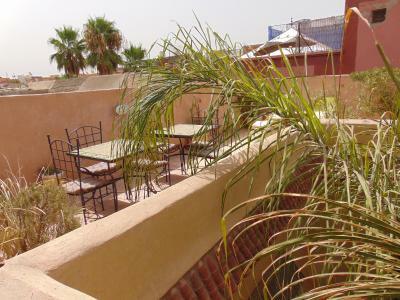 Also, the cook serves a delicious tagine and traditional cuisine, sure to delight your taste buds. 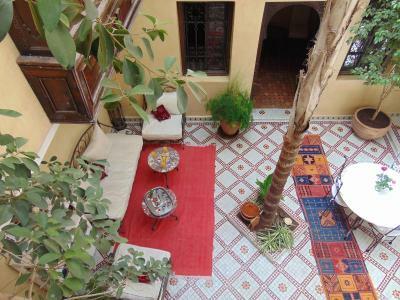 뀐 This property is in the real heart of Marrakesh! 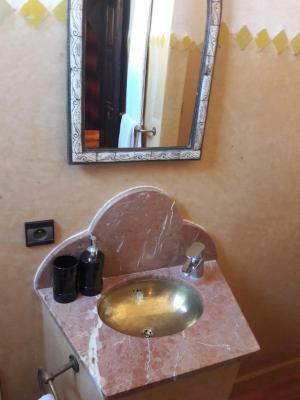 When would you like to stay at Dar Tuscia? 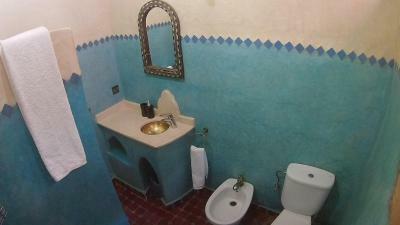 This air-conditioned room includes a sitting area. 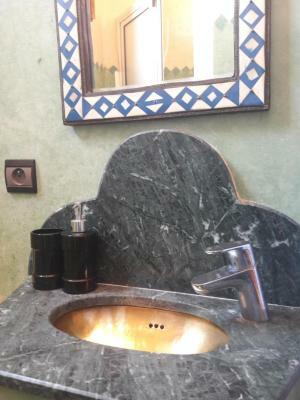 House Rules Dar Tuscia takes special requests – add in the next step! Dar Tuscia accepts these cards and reserves the right to temporarily hold an amount prior to arrival. Please inform Dar Tuscia of your expected arrival time in advance. You can use the Special Requests box when booking, or contact the property directly using the contact details in your confirmation. 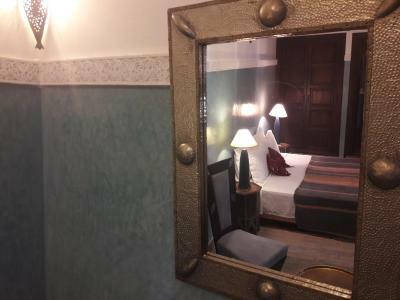 we booked a triple room as the only one available for our stay but we were put into a much smaller room with a very small shower and as my husband is 6'2" not that good at all. 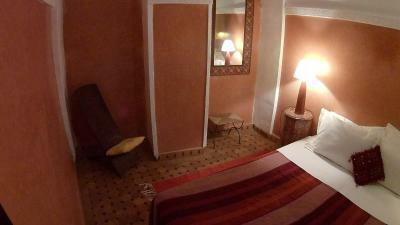 Bedroom also very small and narrow and not what we had booked. 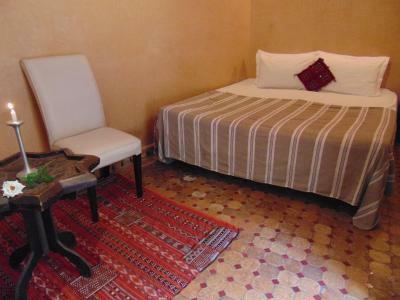 Naima, the manager told us though that the price was the same but we had wanted the larger room. The second night she did however change our room and we were put into the one we had booked which was much bigger and shower also great. Bed also very comfy. At breakfast on the first morning I was given a knife that had definitely not been cleaned and had the remains of butter on it from a previous guest. I| was given a clean one though when I gave it back. 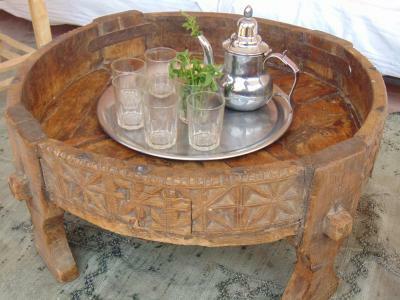 Also being given a napkin cut in half is not a good idea for tourists, it just appears very cheap and as napkins are cheap paper ones anyway it is not good advertising for the riad. 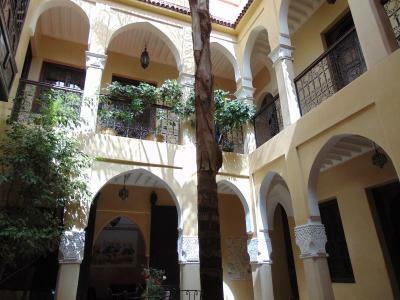 The location didn't feel at all safe at night so we walked around the outside of the Medina wall and came in to the riad at the closest gate called ben yacout. Nothing. 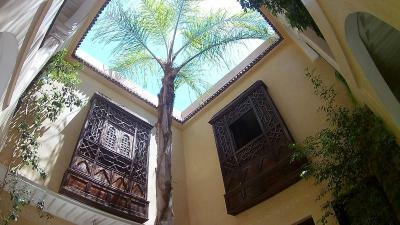 We loved the riad. 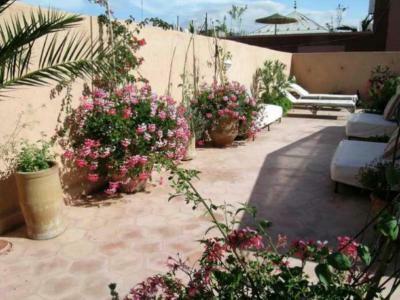 It gave us a really authentic Marrakech experience. It’s not a hotel, it’s a home. Our room was very cold when we arrived (there was 15 degrees or less) and it took time, till we could warm it up with the air conditioner. Staff was very friendly and helpful, the transfer was okay, breakfast was very good and more than enough! Everything was fresh and delicius! For one night we asked for a tajine for dinner, it was awesome! Room was comfortable and clean. 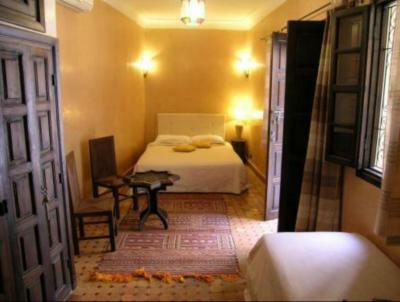 This is a small and cosy riad with five rooms. it's only half an hour walking from the main square. it's in a quiet part of medina and it's not noisy in the evening. the area looks safe and local people were very friendly. breakfast was very good. it's not difficult to find the place since it's only 2 minutes walking from one of the main gates. it's also not difficult to find the main square. 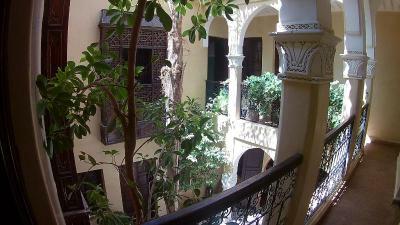 naima was an excellent host, very nice, polite and patient. she gave us a few tips on the sightseeing sites in the medina and she was always there if we needed anything. housekeeping is excellent and the place is very clean. I was charged an extra £10 for 'tax' despite the Booking.com website displaying a lower total cost. Breakfast was nothing special. The place itself was comfortable. clean and quiet. It was a bit cold inside, but the rest was perfect. Very good breakfast and kind staff. Everything about Dar Tuschia is perfekt. 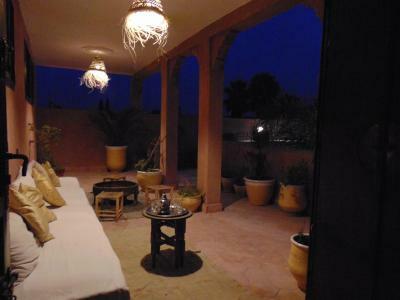 The host is absolutely lovely and speaks english, which is rare in Marokko. 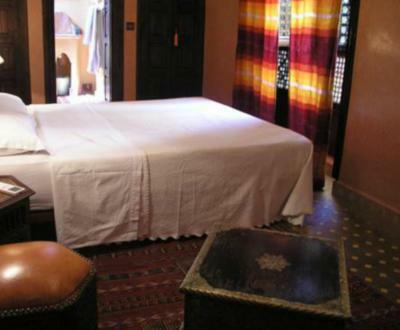 The riad is beautiful, and it is clean and quiete everywhere. Breakfast is huge and lovely. I almost felt at home. 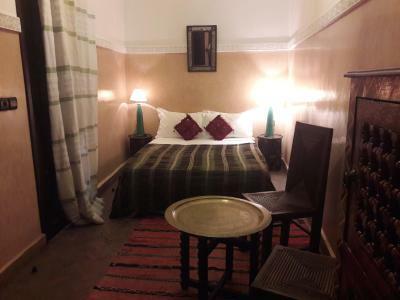 The location is not ideal: unless you are extremely able to navigate the narrow streets of the medina, it will take you around 30 minutes to get to Jemaa el-Fnaa.